If you struggle to get a signal or tend to drop calls in a certain area (common in elevators, buses, cars, and other enclosed spaces), wait until the signal is stronger. When handling a weak signal, the phone increases power to a maximum, irradiating you and those around you. 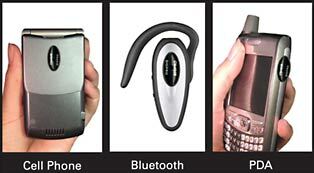 A better place for your cell or BlackBerry is in your purse or briefcase, because electromagnetic field exposure diminishes rapidly beyond 3 feet. It’s okay to carry it on you if the device is in “”flight”” or “”off-line”” mode. If you must carry it while fully on, keep the keypad positioned toward your body, so that the battery pack faces outward. Another safety tip: Switch which side of the head you use your phone on from call to call so you spread out exposure.